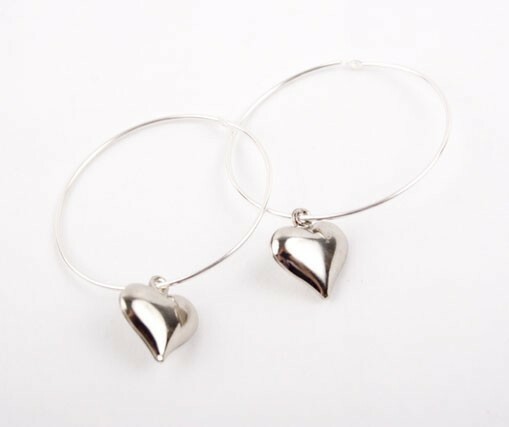 Silver hoop earrings with a silver tone heart charm. Hoops measure 25mm. Also available in gold.